← THE WTO — U.S. & QATAR — What’s the Future? Two New US Trade Cases — To be filed with the USTR or the WTO? 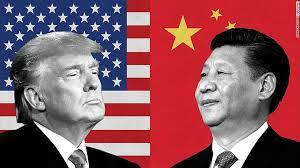 The Trump administration is now on the verge of initiating a new trade case against China even while its prior case concerning ‘national security and steel imports has not yet been filed. The problem is the Trump administration is now putting trade back on the table concerning China. It has not lived up to its campaign threats yet. If the Trump administration is serious about both these actions. It needs to do two things: one, do not use domestic administrative procedures (namely the USTR). This will catty no international legitimacy. Two, file an action or actions in the WTO’s dispute resolution process. If the U.S. is successful it will then be recognized as a legitimate trade action. But WTO trade rules (especially under China’s Accession agreement) may very well work in China’s favor. My conclusion, however, is something else. Both actions to me do not seem to be based on strong empirical evidence. Better to negotiate than file a formal request for consultation. Nevertheless, filing for consultation will allow for a possible diplomatic negotiated settlement within a short time period. This type of negotiation is not otherwise available outside of this format. “White House to Prepare Trade Case Against China.” New York Times (August 1, 2017). “Taking on China Over Tech.” New York Times (August 3, 2017).